We all know that Auckland’s transport system is one of the pivotal issues for our city. Congestion reduces economic productivity, it’s bad for our health, and it makes life in our communities far less pleasant than it should be. Our current problems are the result of a failure of policy over the past sixty years. During that time our transport planning has been on the basis of building more roads to solve congestion. Here’s the thing. Demonstrably, it hasn’t worked. Otherwise why would we be having the conversation. City Vision believes that a new approach is needed. We need to build an integrated transport network that is focussed on providing people with real transport choice. We know that when people have the option of cheap, efficient public transport, that they take it. 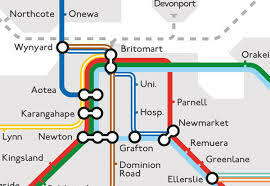 The Dominion Rd ‘B-Line’ is a good example. With a guarantee that a bus will come very 10 minutes, and dedicated buslanes at peak times, people have flocked to this service. Over 50% of commuters down Dominion Rd now travel by bus. Similarly, Britomart and related improvements to the rail network have led to a 500% increase in rail patronage over the past ten years. We need to build on this progress and lock in a long-term programme to build a congestion free network along the lines proposed by Generation Zero. City Vision is the only group that has made a firm commitment to the CFN, which is one of the reasons our candidates have overwhelmingly been rated highly by the Generation Zero candidate scorecard. A side benefit of the CFN is that it is actually cheaper than the alternative road building programme, so it’s also the fiscally responsible option. Our city is crying out for leadership on this issue. Our opponents back the government in its desire to just roll out more tarmac. We support a congestion free network and real transport choice for Aucklanders.